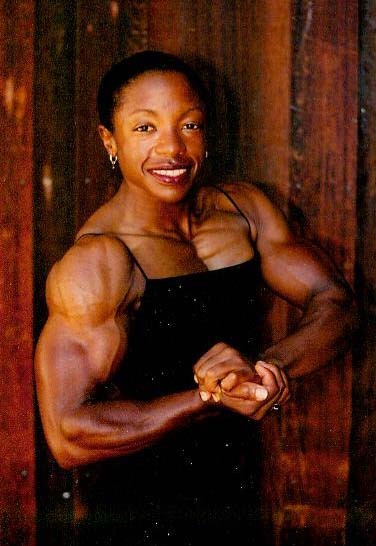 Makeba was a top regional bodybuilder in California, but as far as we know, she rarely, if ever, competed nationally. 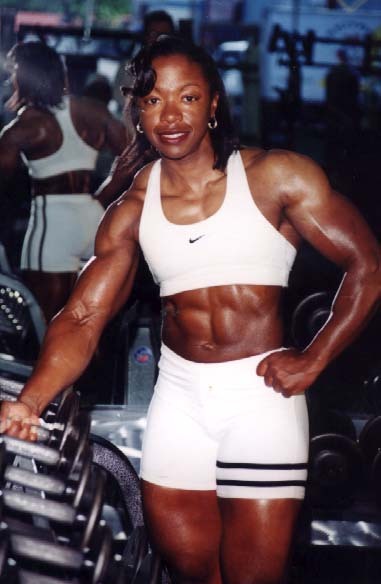 Freelance videographer Tony Duffy was friendly with her, and had two photo/video sessions with her in 2000- in contest shape at 5'1" 140 pounds, then at 150 when off-season. When lean, she showed off very impressive arms, back, chest and deep-cut abs. When off-season, she did repwork and strong lifting in the gym (strong lifts for arms), posed in more outfits, and was interviewed. WPW501 - Shannon Rabon - (65 minutes) - Video Download - Reduced price.